National Populism. Roger Eatwell, Matthew Goodwin. Review: A Feast of Gammon. National Populism. The Revolt Against Liberal Democracy. Roger Eatwell and Matthew Goodwin. Pelican. 2018. Brewer’s Dictionary of Phrase and Fable. Millennium Edition. Gammon: term used to describe a particular type of Brexit-voting, europhobic, middle-aged white male, whose meat-faced complexion suggests they are perilously close to a stroke. The term ‘gammon’ is linked to the unhealthy pink skin tone of such stout yeomen, probably because of high blood pressure caused by decades of ‘PC gone mad’, being defeated in arguments about the non-existent merits of Brexit and women getting the vote. Gammon often make their appearance on BBC’s Question Time jabbing their porcine fingers at the camera while demanding immediate nuclear strikes against Remain-voting areas, people who eat vegetables and/or cyclists. When gammon appears en masse it is often referred to as a “wall of gammon”. The first known usage of the term ‘gammon’ to describe the complexion of men of an overly-jingoistic fashion dates from as far back as 1838 in a description of Mr Gregsbury, a Member of Parliament, in Charles Dickens’ novel, Nicholas Nickleby. In George Macdonald Fraser’s Flashman novels the word gammon crops up. As Tom Brown’s bully bluffs and wriggles through life, his career is gammon itself. A red-faced liar, and cowardly racialist, the ardent Imperialist is the forebear of today’s British cured ham populists and patriots. There is a history to be written about the writers and academics with a taste for the pink meat, the Gammon left and right. 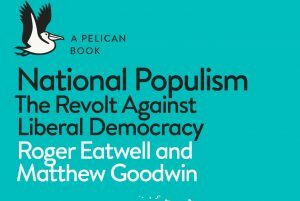 Eatwell and Goodwin began by refusing to scorn national populists as “crude bigots and old white men”, far -from-well-off, uneducated, and marginalised from society. They point out that many of these parties have a degree of backing from the respectable middle-class, women indeed vote for them, as well as workers. France indeed has a whole array of intellectuals on the national populist side, some of whom, like Michel Onfray, Emmanuel Todd, and Jean-Claude Michéa, still claiming a wavering leftist thread, even a belief in ‘common decency’ for their sovereigntist dreams, others, Éric Zemmour at their head, clearly on the nationalist right. “Critics of the neo-liberal order” welcomed the UK leave vote, the “rising of the North” from the anti-EU “rust belt regions”. This was an authentic working class that turned it back on the Trade Union majority and the Labour Party’s official position. That is the ‘Lexit’, pro-Brexit, lament against internationalists, the “cosmopolitans’ from nowhere. But this book should give food for thought for those crying over the fate of the left-behind. Page 23. For a Left Populism. Chantal Mouffe. Verso. 2018. Page 73 Populisme. 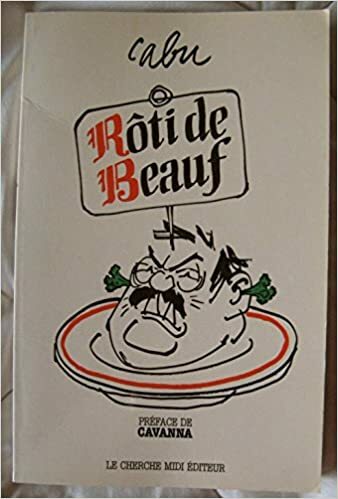 Le grand ressentiment. Éric Fassin Textuel. 2017 The term ‘affects’, emotions, an abomination in both English and French, comes from a reading of Spinoza (a small part of his writings) on the emotions in Frédéric Lordon, La société des affects. 2013. In this context, “By affect I understand affections of the body by which the body’s power of acting is increased or diminished, aided or restrained, and at the same time, the ideas of these affections.” Affect (philosophy). « Case for Brexit Boosted as Defence Secretary says it “can enhance UK’s lethality”.